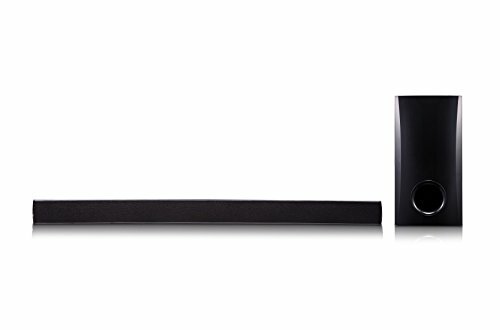 The LG Electronics SH2 2.1 Channel 100 Watt Sound Bar with Wired Subwoofer and Bluetooth Connectivity. Ideal for TVs Over 40 Inches. Adaptive Sound Control Action movies, dramas, sports, music and even the nightly news all have different audio profiles, so don't listen to them all the same way: Adaptive Sound Control identifies what's playing and automatically adjusts the sound mode to create the ideal audio experience. TV Remote Compatibility Control select LG sound bars' basic functions with the TV remote from eight of the leading manufacturers¹ to add great sound with added convenience.